Nitrogen as an input represents a significant portion of the crop production budget; so making that N available for crops in an efficient way has proven to be increasingly important to growers. That’s where enhanced efficiency products have come into the N management picture in agriculture in recent years. Kruse says while these technologies have been around since the early 1990s, only recently have they become more widely used in agriculture as growers become more consolidated and start to look for ways to be more efficient. Whether a grower uses a polymer-coated urea (controlled-release N) or N stabilizers, the goal of investing in either technology is to prevent N from being lost. The following breaks down both technologies to highlight how each works and in which situations each type of product is best utilized. The Agrotain line of nitrogen stabilizers from Koch Agronomic Services has been the primary product line available in the U.S. nitrogen stabilizer market. These stabilizer products protect against the three major processes in which N can be lost (see sidebar). “There’s an enzyme that’s called urease that breaks (urea-nitrogen) down. It converts it into ammonium, which is a plant-available form of N,” explains Kruse. What may also happen is urea can break down into ammonia, which is a gas that can leave the soil surface; a farmer has then lost the value of the nutrient. “So if you can protect urea by slowing that conversion process from urea to ammonium, then more of that N stays in the plant-available form,” says Kruse. “What Agrotain N stabilizer does is interfere with the urease enzyme, so the urea breakdown takes place over a slightly longer period of time — a few days.” Ammonium is then available for the plant when it needs it, Kruse explains. 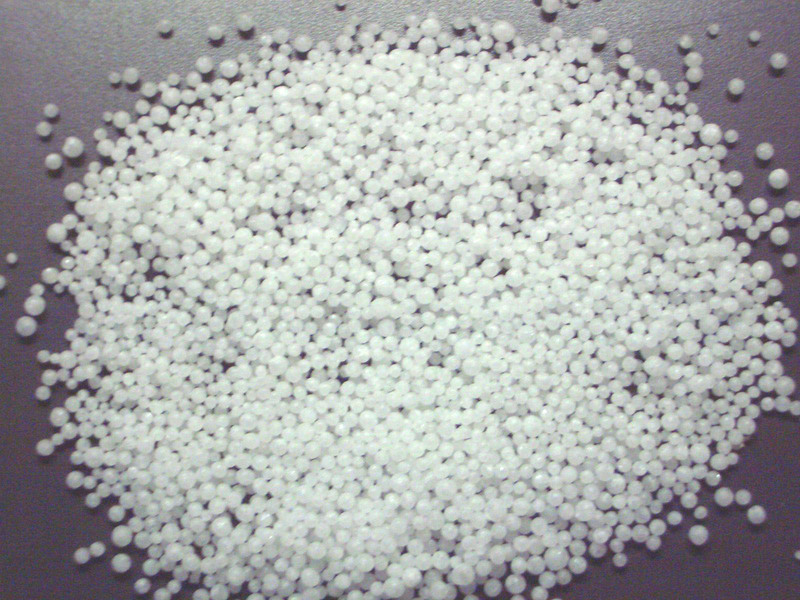 However, ammonium converts to nitrate throughout the growing season, and can be lost in a rain event. So Koch offers several products, such as Agrotain Plus and Super U fertilizer, that prolong the N in the ammonium form in order to protect against denitrification or leaching. Anytime a grower surface-applies urea and is unable to incorporate it or water it immediately, he can benefit from Agrotain stabilizer because it protects against volatilization. Kruse also says growers in both wet and dry climates can find value in using a stabilizer product. “Let’s say you’re on a shallow, gravelly soil like in Montana. It’s not very wet there, but the soils can be so shallow that it doesn’t take very much precipitation to move N deep into the soil profile beyond the root zone,” says Kruse. He also mentions that researchers at Montana State University have recently reported that even in cold climates, where growers might think N applied in the fall will stay there through the winter, substantial N loss can occur. Tillage is important to consider when choosing an enhanced efficiency product. Kruse says Agrotain shines in no-till. “When you’re in a no-till situation, you have a lot more enzyme activity breaking down the urea. You’re also prevented from tilling in the nitrogen. It’s sort of that perfect storm of N loss we’re protecting against,” says Kruse. Agrotain stabilizer is typically applied to urea at dealerships. The protected N can be blended with other nutrients. Kruse says in tests, they’ve seen between a 5- and 20-bushel-per-acre yield advantage by using Agrotain. The dominant product in the controlled-release market in the U.S. is ESN, “Environmentally Smart Nitrogen,” a product made by Agrium Advanced Technologies. 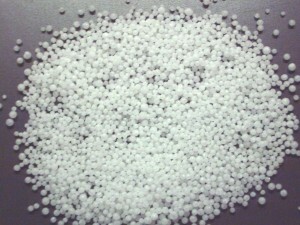 ESN urea granules are coated with a polymer, and the product is designed to release urea slowly throughout the growing season. He also says growers with a variety of tillage practices could benefit from ESN as long as they’re conscious of timeliness. “If you’re doing a true tillage situation, make that (ESN) application post-tillage,” says Cicora. He says growers who do conventional tillage tend to do so in the fall and then come back to apply ESN in the spring. “You’ve just got to be conscious that you’re not over-tilling after the product’s been in. “In a no-till situation, (ESN) works as good or better just because you’re able to leave the product on the ground and let it diffuse and work down into the soil where the plant needs it at the root structure,” Cicora says. In terms of which types of fields benefit most from ESN technology, Cicora says sandier soils and irrigated crops really see a bump in yield benefit. Throughout the core Midwest, tests done by the company showed a yield advantage of up to 7 to 12 bushels per acre. But he says the product is flexible and can be used on just about any soil type. Areas that already have high organic matter still benefit from ESN. “Basically, what ESN is doing is allowing that corn plant to maximize its genetic potential by feeding the plant all season long and not just in a preplant or sidedress application,” says Cicora. ESN can also be blended with other products like phosphorus or potassium fertilizers, but the company recommends that when a blend is done, the ESN coating material should always be applied last.